Commodities prices have recently tumbled and silver has not been immune to that trend. 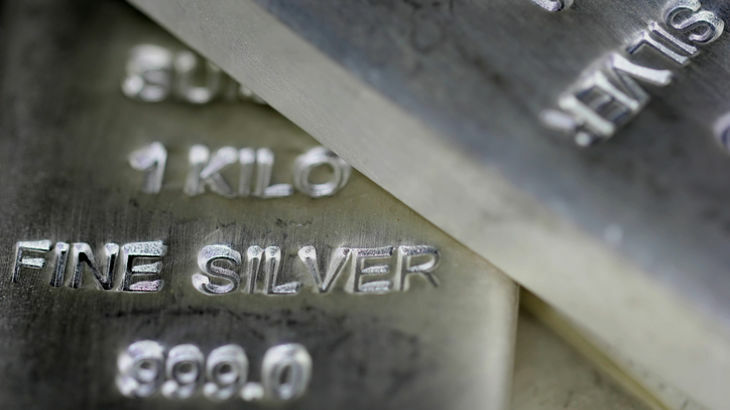 In fact, the iShares Silver Trust (NYSEArca: SLV) and ETFS Physical Silver Shares (NYSEArca: SIVR) have been punished in recent weeks, but some traders think the white metal’s slide could be nearing completion. Silver and other precious metals enjoyed safe-haven demand as the equities market plunged into a correction. The Federal Reserve is targeting three interest rate hikes this year, which could white on precious metals, but some market observers believe there is upside to be had with the white metal. “After a severe 12 percent correction over just four weeks, the commodity is enjoying a bounce that began on Wednesday. As we saw with crude oil, a pullback in the dollar is helping the commodity bounce from a deeply oversold condition,” reports CNBC. Even if safe-haven demand for hard assets abates, silver exchange traded funds could continue to find support out of the industrial sector as the precious metal is a major component in many manufactured products.